All graduands of 2016/2017 academic session are by this notice requested to immediately commence clearance for the purpose of issuance of statement of results and inclusion of their names in the convocation brochure for the forthcoming convocation ceremony. 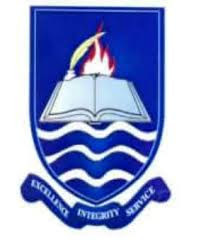 In a memo on behalf of the Registrar by the Director in charge of Senate in the Academic Office, Mr Donald Okogbaa, the affected graduands are to pay the sum of forty-one thousand naira (N41, 000) which covers certificate, statement of result, convocation gown and brochure, and clearance form. The memo further directed that the payment must be made online and a receipt obtained before proceeding to the Registrar’s office for the clearance form. Meanwhile, graduands who are yet to submit their blue background passport photograph to the Academic Office (Senate) are to do so without further delay for the purpose of scripting their certificates. Graduands are urged to comply with this directive with the urgent attention it requires as only those that meet the above criteria will have their names listed in the convocation brochure.